A US-headquartered global producer of technology products and its subsidiaries have global supply chains and export their products worldwide, serving several industries. The company’s previous ocean contracts covering its extensive transport needs for Full Container Load, Less-than-Container Load and out-of-gauge, were due to expire soon. The company selected Drewry to manage its 2016 global ocean tender, using innovative features, the latest technology and freight cost benchmarking through Drewry’s e-Sourcing Ocean Freight Solution (eSOFS). The company ships products by ocean transport on about 4,000 lanes and negotiates with 50+ providers globally for its approximate 50,000teu annual volume. Its annual spend on ocean transport runs into tens of millions of dollars. The company wanted to reduce its ocean transport spend without compromising quality of service. As the logistics departments of several of its subsidiaries had good relationships with a number of incumbent carriers and forwarders, the subsidiaries had to be informed of and involved in the final selection of providers. Drewry ran the global tender using advanced electronic tools and optimisation scenarios to identify cost reduction opportunities and the best selection of providers given the company’s objectives. 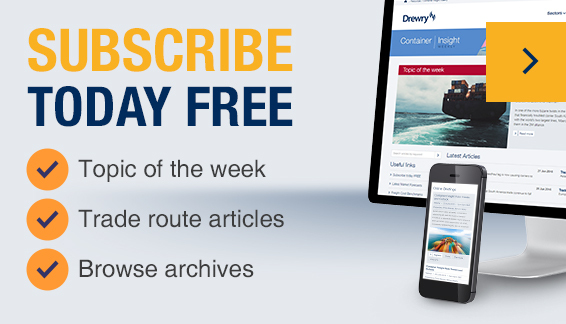 Drewry recommended that all providers first complete an online Request for Information questionnaire, to ensure compliance with the company’s policies and requirements. Drewry pre-mapped the customer’s agreed scenarios in the Keelvar sourcing tool. Drewry identified additional, high-quality bidders and provided feedback and replies to bidders from the US, Asia and Europe during the tender, ensuring a high level of participation. Drewry checked and questioned incorrect bid data from the providers. Drewry joined and supported 3rd-round face-to-face negotiations with key providers at the company’s US headquarters. The company secured a multi-million-dollar reduction in annual ocean freight costs under the new ocean contracts, while keeping many of its preferred incumbent providers. The global tender was completed in less than 3 months. Drewry documented and provided in a single file a clear statement of costs, charges and cost models for all the lanes of the company and its subsidiaries.